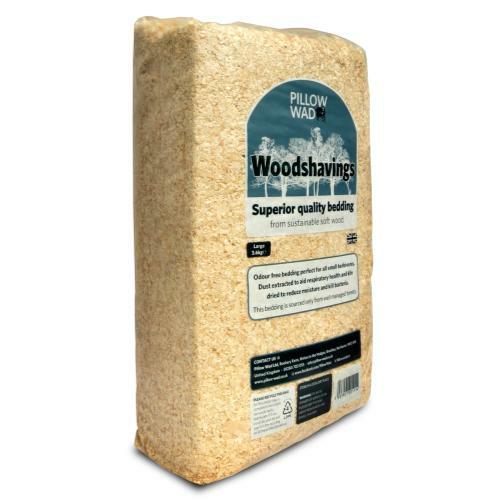 Pillow Wad Woodshavings Pet Bedding uses Norwegian sprice pine and other soft woods to stay soft on delicate paws and let your pet make comfy homes out of it. Besides being very absorbent it also has that great natural pinewood smell! These are larger shavings rather than sawdust, and are suitable for rabbits, snakes, reptiles, birdcages, and all small domestic pets.